As a trader, you want to have a partner who will be there for you in whatever situation that you may be in and that requires a broker you can trust a broker like iForex. This brokerage firm opened its doors to the masses in 1996, and from there henceforth they have not stopped impressing their clients’ through improved service provision and products. They made a major leap in 2004 after they launched their proprietary trading platform that is not only web based but it is a multi-lingual platform which means that more people would be able to place their trades through this platform and get access to superior pricing and, powerful analytical tools, fast executions, and an overall enjoyable trading platform. It is interesting what a trading platform can do for the broker; iForex brokerage firm immediately got a surge in their trading volume and beyond that they got a massive increase in the number of clients to the tune of tens of thousands. Such is what many brokers want to experience the different improvements they make to their brokerage firms. To add onto this iForex brokerage has a bonus program, the iForex bonus program which is aimed at incentivizing their clients for joining and more so for referring new clients to iForex. 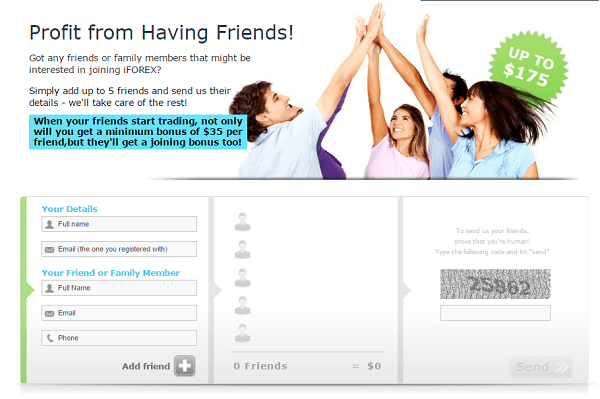 The refer-a-friend bonus program could have the client get up to $175 for each referral; this is a pretty nice incentive for having a friend. They are a reliable broker who is regulated by the Cyprus Securities and Exchange Commission, and they have other organizations that cover other regulatory requirements, and iForex ensures to follow this guideline to the letter. Every client wants to have the upper hand when trading and that means you will need a partner who will give you just that otherwise it will not be worth your while to be part of that broker. This reason is what has pushed iForex to create a structured framework that will ensure their clients benefit fully from their services. One of the benefits that iForex brings on the table is a direct market access to the products they offer such as forex, equities, and commodities; this allows them to offer their clients tight spreads and low commissions for their trades. The another benefit is that they have an office in almost every major financial district in the world. Also for the institutional investors, they have a wide range of tools that will support you interbank trading and accounts. They also have no hidden charges and fees this ensures the client gets their profits in full and they also support hedging to minimize losses. When it comes to ease of trading, they have one-click trading options, advanced market orders, a guaranteed stop loss which is meant for exposure closing, and the client can utilize their full margin when trading and they do not get a margin call, which means iForex steps in and covers you. The another advantage is that you get the profits paid promptly and your leverage is 400:1 on the maximum side. As a broker who cares about risk management they have a real-time margin protection system that ensures you cannot lose more than the percentage you have set to lose on a particular day, this makes capital protection an easy task to handle, and it is an easy one. The core of a trading firm is their ability to provide powerful trading technology. The reason being with powerful technology you are able to have efficiency and speed on your side, as a trader you will not want to have a lag in the execution of your orders because that will be detrimental to your profitability. For this reason, iForex have decided to give their traders an opening to world class trading platforms; they have offered three variations of trading platforms that are powerful and efficient, and they are easy to use, this has made them one of the best choices among the brokers from around the world. They have a mobile platform, a downloadable platform, and a proprietary web-based platform, these three make up their trading technology as a whole. The downloadable platform is the FXnet Trader which has been created using the Microsoft.NET technology a very advanced technology that offers both ease of use robustness required in the trading business. The other two have an advanced feel to them the mobile platform ensures that you will always have the markets in the palm of your hands and furthermore you will be able to take advantage of the opportunities as they arise on the go. The web-based platform makes it easier for you to trade as long as you have an internet connection, this is more popular compared to the other two because of the advanced features it has. There are two things that go hand in hand, trading technology, and the products on offer. The products that iForex offers helps them determine how well their clients can take advantage of them in the long run. 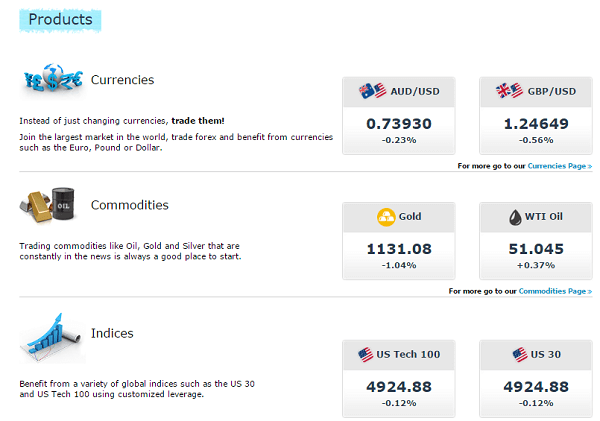 They have three distinct asset classes on offer; they have the commodities, shares and forex products. The three are the most commonly traded by retail investors, and this makes them quite popular. The pricing is what determines whether the traders will go for them or not and iForex has learned about this and they have ensured that they offer competitive pricing to ensure their clients remain active all through the year. Every client wants to feel appreciated, and this is what iForex has centered on improving year after year. They focus on their clients’ needs and improve on them consistently.